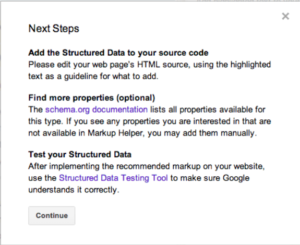 Schema markup is the latest evolution in SEO world and is the least utilized yet a powerful optimization factor in search engine result pages. Here’s an example of famous magazine Forbes that has markup on its article. The SERP entry looks like this. 1. 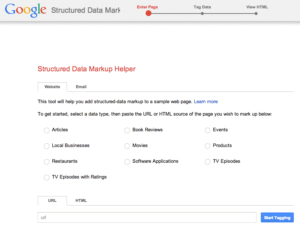 Open Google’s Structured Data Markup Helper. There are several options listed. Like articles, book reviews, etc. We are going to use “Articles”. 3. Paste the URL of the article that you want to mark up. Say we want to add “Name” markup. When we finish highlighting , we select “Name” from tool tip. When we select “Name”, the tool adds it to “Data Items” in the right pane. 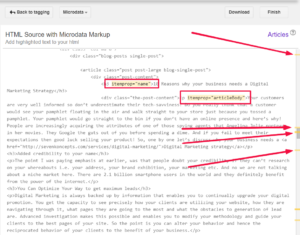 Use the list of “Data Items” as a guide, and highlight the other items in your article to add them to the markup list. In the following page, you will see the HTML of your page with the relevant microdata inserted in the spots that you selected. Next, you will go into your source code and add the highlighted snippets in the appropriate spots. Find the yellow markers on the scrollbar to find the schema markup code. 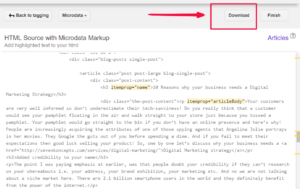 A simple alternative is to download the automatically-generated HTML file, and copy/paste it into your CMS or source code. 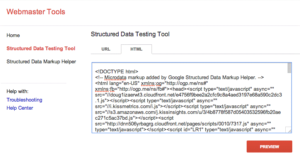 8.Use the Structured Data Testing Tool to find out what your page will look like with the added markups. We can also analyse the code that the tool generated, and which we downloaded. 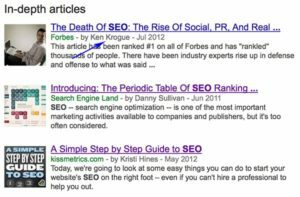 Once the code is pasted, click “preview.” The testing tool shows us what the article will look like in Google search results.